Did you ever wonder why there are 29 days in February every four years as a kid? I don’t think there was any child who didn’t ask that question and believe me each of them got a different answer which ranges from myths to tradition and then maybe to facts that science has come to provide to why a leap day occur in February every four years. Usually, there are twenty-eight days every February but every four years instead of the normal twenty-eight days, we have twenty-nine days, the extra day is what is called a leap day, making every year with an extra day in February a leap year. Now back to the question why is there an extra day every four years in February? what are the mythological, traditional and scientific explanations for the extra day that occurs every four years? Here is all you need to know – the myths, the traditions, and the facts. The origin and concept of the leap year date back to the first Century when the first Roman emperor Julius Caesar and his astronomers discovered that the Roman calendar of 355 days was no longer aligned with the seasons. After roundtable calculations and deliberation Caesar and Sosigenes (astronomer), came up with a solution – a 365-day calendar which will sometime have an extra day added to the last month of the year which at that time was February. That calendar became what was known as the Julian calendar. The Julian calendar did work for a while but it was soon discovered that the calendar was no longer aligned with the seasons and was off by about eleven days. In the 16th century, Pope Gregory XII sat down with a team of astronomers to fine-tuned the calendar, this they did by moving up the calendar by eleven days. The team of astronomers also discovered that the Julian calendar 11 days addition was no longer correct and to rectify this, they initiated a new order which would prevent the calendar from going ahead of itself over time. With the new order, the term leap year was coined and a new rule was instituted stating that a leap year must be divisible by 100 and 400, meaning any year that is divisible by 100 and not 400 is not leap year, thus, the year 1600 and 2000 were leap years but 1700, 1800 and 1900 were not. This calendar modification by Pope Gregory XII and his team of astronomers gave birth to the Gregorian calendar which is still used today. The Gregorian calendar was an improvement to the Julian calendar but that doesn’t mean it is perfect as it has its own imperfections too, which is the fact that it moves the calendar very close to the solar year and according to scientists, this will take about 3,000 years for the difference to add up and the error corrected. In the Gregorian calendar, which we still use till date, there are 365 days in a year with exceptions to leap year which occurs every four years and has 366 days instead of the normal 365 days every other year has. In the leap year, the month of February is extended by one day so rather than twenty-eight days, we have twenty-nine days instead and the extra day added to the month of February is known as the leap day. And the leap day occurs in years which are divisible by four, with the exception of years divisible by 100 but not by 400 as explained above. In other words, every year that comes with February 29 is a leap year and every February 29 is a leap day. Now to the scientific explanation on why the leap day occurs. The Gregorian calendar has 365 days in a year, it actually takes the earth 365 days and 6 hours to move around the sun (complete revolution), thus, an extra day (24 hours) accumulates every four years as a result of the extra six hours and this requires an extra calendar day to be added to align the calendar with the Sun’s apparent position. In a nutshell, a leap year makes up for the extra six hours that accumulate over the period of four years. 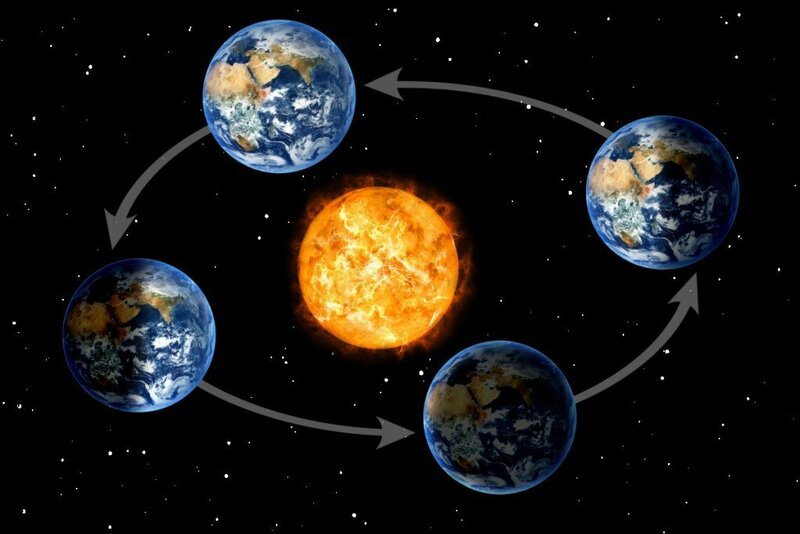 Without the extra 24 hours (a day) added, in future years the seasons would go out of alignment leading to confusion about weather, ecology, or hours of daylight. One of the many traditions of the leap day is the fact that women were allowed to propose to a man on that day. There are two stories as to when this tradition began and how it started. The first version dates tradition back to 5th-century Ireland when St. Bridget reportedly complained to St. Patrick that single ladies had to wait forever for suitors to propose. To solve this issue, St Patrick gave women the right to pop the question on a leap day and St. Bridget was the first to propose to St Patrick who turned down her proposal and with a kiss and a silk gown to soften the blow. 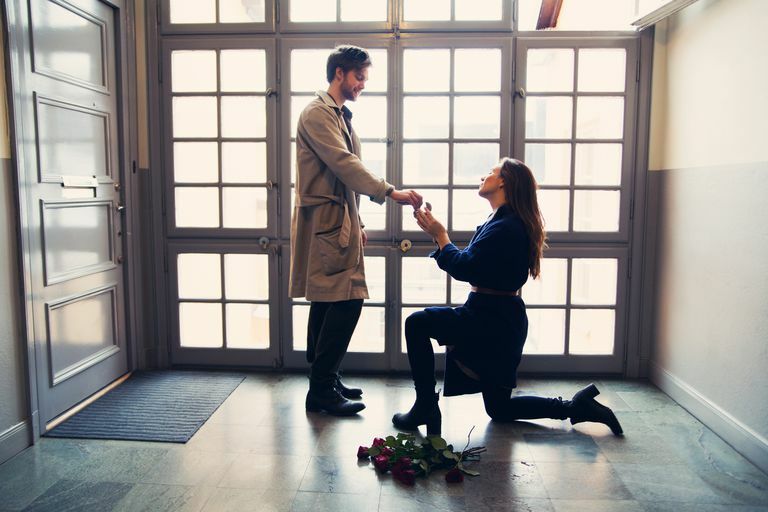 The second version says the tradition began in Scotland when Queen Margaret gave a decree in 1288 that a woman could propose to any man of her choice on February 29. And should the man turn down the proposal, he would need to pay a fine in the form of a kiss, a silk dress, a pair of gloves or a fine of one pound. The gloves were to hide the embarrassment of not having an engagement ring. In ancient times, the leap year is considered not so good a year, thus, in Ancient Greece, couples avoid getting married in a leap year as it is believed to be a sign of bad luck. There is a saying in ancient Italy that reads “Anno bisesto, anno funesto” meaning “leap year, doom year”, during the leap year, women were believed to be erratic and several Italian proverbs warned against planning important life events in a leap year. The Russians believe the leap year brings more freak weather patterns and that more deaths are recorded in a leap year. They even tell a farming folklore which says that beans and peas planted in a leap year “grow the wrong way”. Ever heard the old Scotish proverb that says “Leap year was ne’er a good sheep year?”, thanks to that old saying even Scottish farmers believe leap years are not good for crops or livestock.